LaTourette and his wife have also established another lobbying firm across the street from the U.S. Capitol in Washington, D.C.; a firm that Lipton reports has benefited from LaTourette’s role atop MSP. LaTourette has been extremely active in Washington political circles and the world of lobbying since leaving Congress to take the gig at MSP. He has regularly interacted with leaders and lawmakers in what Lipton claimed is potentially illegal activity. Technically, LaTourette is not a registered lobbyist, but his wife, Jennifer, and his former legislative aide, Hillary Fulp, have registered as lobbyists for LaTourette’s new firm. LaTourette denies accusations that he may have broken the lobbying ban law for former members of Congress or that he is motivated by enriching himself, telling the Times that each of those notions “is just nonsense.” He also said that “any encounter he has had with lawmakers has not had the ‘intent to influence official action,’ which is specifically banned,” Lipton wrote. “In addition, Mr. LaTourette’s activities have raised questions about whether, in his dual roles, the former congressman violated the federal statute that prohibits lawmakers from lobbying on Capitol Hill for a year after leaving office,” Lipton wrote. His work for the Main Street Partnership, he said, is focused solely on helping lawmakers who believe in the government’s ability to solve problems to fight back against extremist groups like the Club for Growth, which he has likened to a ‘cancer that has attached itself’ to the Republican Party for its role in challenging incumbent Republicans with more conservative candidates. Lipton quoted LaTourette as saying establishment Republicans want to retake control of the GOP from conservatives. “We want our party back,” LaTourette said. But Lipton’s account of LaTourette’s potentially illicit activities raises several questions. Lipton noted that LaTourette has been involved in at least four separate legal entities since leaving Congress; MSP is just one such entity. The Main Street Advocacy Fund and Defending Main Street Super PAC are two more, which, Lipton noted, “together are seeking to amass $8 million to bolster Republican candidates facing Tea Party challengers in the 2014 races.” Then there is LaTourette’s lobbying firm, McDonald Hopkins Government Strategies; McDonald Hopkins has clients such as freight railroad giant CSX and renewable energy group Citizens for Responsible Energy Solutions. “By bankrolling the group and contributing money to an affiliated political action committee that donates money to the lawmakers who are members, corporations gain the right to help draft the Main Street Partnership’s position papers and to participate in events that feature sitting members of Congress,” Lipton wrote. The list of corporate members is kept secret, but the companies that donate to the group’s political action committee, including General Electric and Dow Chemical, as well as Mr. LaTourette’s law firm, offer a hint. Under House ethics rules and federal criminal law, former lawmakers are prohibited for one year from communicating with members of Congress ‘with intent to influence official action on behalf of anyone else,’ even if they are doing so on behalf of a nonprofit group, like the Main Street Partnership. Lipton reported, however, that LaTourette has engaged in several events over the course of the year since he left Congress that involved interaction with sitting members of Congress. Those events were highlighted on LaTourette’s group’s own website. For instance, Lipton noted that in February 2013 LaTourette participated in an event and “sat next to” Reps. Charlie Dent (R-PA) and Richard Hanna (R-NY) at the Capitol Hill Club, where they introduced a report detailing how to cut the corporate tax rate by cutting Medicare, Medicaid, and Social Security spending. Lipton quoted Kenneth Gross, former head of enforcement at the Federal Election Commission (FEC), who said that LaTourette could have violated the lobbying ban. “We advise against any interfacing on substance with sitting congressmen and staff,” Gross, said. “Mr. LaTourette is permitted under the ethics rules to participate in political events that bring him into contact with current members of Congress,” Lipton also wrote. “This is not about some high-minded political ideas,” Borelli claimed. 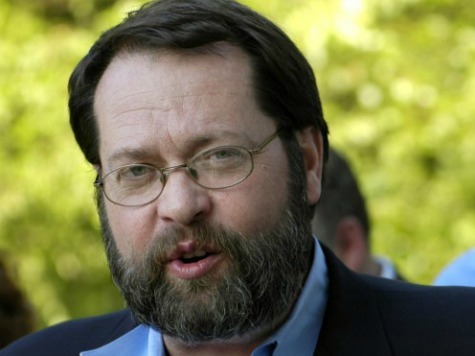 LaTourette aggressively attacked the Tea Party movement, both while he was in Congress and since he resigned to take the position at MSP about a year ago. During an appearance on CNN’s Crossfire opposite conservative Larry Elder, for instance, LaTourette said Republicans should be open to increasing Americans’ taxes. “Republicans can win the game if they act like Republicans,” LaTourette said while arguing for higher taxes, which he first tried to spin as “revenue” increases before admitting under pressure from Elder that they were, in fact, tax increases.